WorldTopUpDay is an online global event that will be celebrated for the first time in history this year. It is powered by one of the pioneers of online mobile recharge systems in the world, Mobilerecharge.com. Mobilerecharge.com is an online platform that allows people to give airtime or top-up mobile lines from anywhere in over 135 countries via 400 operators worldwide. This means you can be in the United States of America and purchase airtime credits for a family or loved one in South Africa, Brazil or Anywhere else in the world via #mobilerecharge. If you are hearing about mobilerecharge.com for the first time, then i suggest you click here to glance through one of my previous articles. What's Happening on the WorldTopUpDay? 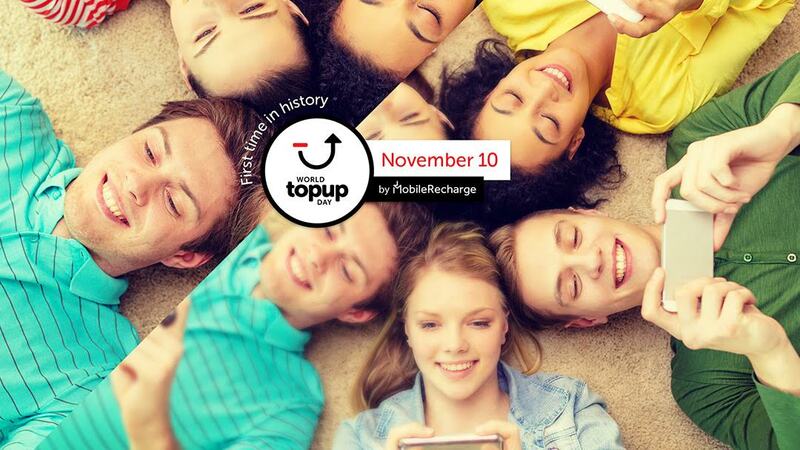 If you are interested in putting smiles on the faces of family and friends abroad or you just want to try it for the first time, WorldTopUpDay is the day set aside to get rewarded for being generous to loved ones, as every new and old customers on the MobileRecharge platform will be celebrated with BIG GIFTS that will really amaze you. The WorldTopUpDay has been slated for November 10, 2015 (Next Tuesday) and it promises to be full of surprises. How to Join in the Celebration of the WorldTopUpDay and Get Rewarded. Logon to Mobilerecharge.com or Search for MobileRecharge-Mobile Top Up on Play Store or your phone's Market Place to download the Application. Set up an account and start sending airtime to your loved ones abroad.
" If you missed the launching of Apollo 11 and the first human steps on the MOON, don't miss this day! #WorldTopUpDay is the first time that anyone celebrates top-up givers worldwide for their generosity and kind heart, as well as the power of giving unconditionally out of compassion, love or friendship "
November 10 EST - Save the date. HAPPY TOP-UP!!! That's why The Admin said we should search for mobile recharge-top up in Play store or the market place to download the app to our phone.